Our Monarch butterfly project is culminating with the return of paper butterflies from all over North America. We now will take some time to write short friendly letters to our new pen pals. Ask your child where his or her butterfly is from! We’re spending time on Earth Day activities this week. We’ll learn what conservation means, address timely problems, and come up with ideas to reduce, reuse and recycle our resources. The children adjusted well to taking the Milestones on a laptop! We have only 2 more days of testing on Wednesday and Thursday. Thank you to our room mother, Ms. Moriera, for providing test snacks. The deadline for field trip permission forms is Monday, April 22nd. We are so excited about our big trip to the Booth Museum in Cartersville next Monday! Mrs. P. & Mrs. M.
Just in time for Earth Day, our monarch butterflies have arrived from classrooms all over North America! We’ll find out who our new pen pals are this week, and learn more about the real Monarch migration. Please help your child by making sure he/she gets plenty of solid sleep and eats a big breakfast. We will begin testing at 8:00 a.m. so it is vital your child to be here on time and ready to begin. 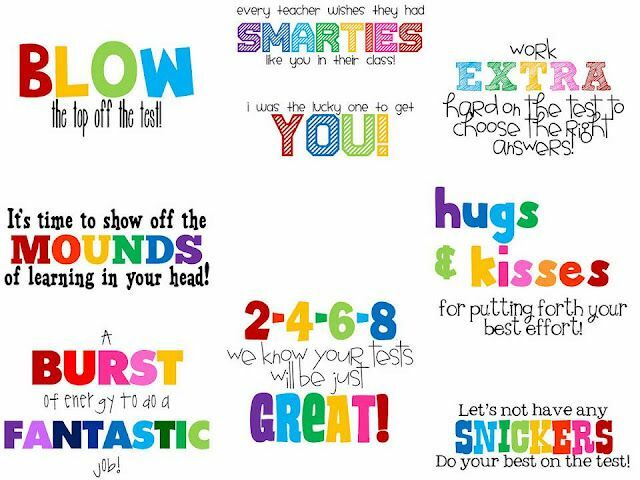 It’s important for children to avoid testing stress ~ a little encouragement is all that is needed. Thank you for your help! We are in desparate need of tissues! A long cold season depleted our supples, and now the pollen has us sneezing and using lots of tissues. If you would kindly donate a box or two, it’d be greatly appreciated. Mrs. P. and Mrs. M.
This is the perfect time to break out favorite fairy and folk tales, in print and video. We are immersing ourselves in the genre in reading and writing. Third grade classes will host a special Thirteen Colonies event on Friday where children will rotate among classes to experience the food, crafts and games of American colonial children! We’re looking forward to an engaging day of hands on, minds on learning! Fondly, Mrs. P. & Mrs. M.
This week winter is over and spring begins! Yippee! The children had an extraordinary time designing, building, displaying and discussing leprechaun traps. Unfortunately, we were not successful in catching one, but like good engineers, we’ll just try, try again. Thank you to our wonderful room mom for a fun leprechaun snack! Keep up the daily practice with multiplication facts. The 4th grade teachers will expect the children to walk through the door in August being fluent in their facts! Flashcards, apps, websites, games —practice any way you choose. Our second Harry Potter novel was completed. We celebrated by watching the first movie and comparing it to the book. We’re going to read Cinderella tales from around the world this week in preparation for our study of fairy and folktales in the last 9 weeks, and then get back to the third in the Harry Potter series! We hope you’ll have a good time creating the Leprechaun Trap (due Thursday)! Maybe your child’s clever design will actually work. Leprechauns are tricky little fellows, and 3rd grade has yet to catch one. WEAR GREEN ON FRIDAY! A big thanks go to Prisha and Michael’s families for the donation of books to our classroom library! It’s always exciting to add new books whether they’re old or new favorites. It’s starting to feel a bit Spring-like! We need it! We had a great ending to last week with our Read Across America Day, and the celebration of Ava and Mrs. Mann’s birthdays. Mrs. Moriera, Mrs. Landell and Mrs. Freeman helped us celebrate in style! Raffle tickets may be purchased at www.kincaidfoundation.org/raffle. This is the last week. This month’s Coffee Chat, Making the Jump, was specifically designed with the 3rd grade parent in mind. Based on experience and parent feedback, we have learned that there are a lot of questions about changes that occur between the primary grades (K-3) and the intermediate grades (4-5). Kincaid students move from our main building into the K Building, they have new report cards, an online grade book, can be eligible for Advanced Content classes, and more. Please come learn more about “Making the Jump” into these different milestones, Friday, March 8th at 8:00. We hope the children a fabulous February break getting to rest, play, make things, use imaginations, read and have adventures! 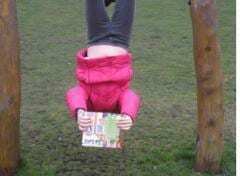 Take picture of your child reading in an unusual setting over the break and post it on SeeSaw. We have 10 tickets for each poster! Donations needed: We are completely out of tissues and sanitizing table wipes (Lysol or Clorox preferred) and class snack (animal crackers or Goldfish preferred). Happy Birthday, Ava and Mrs. Mann! Thank you for all your kindnesses, and devotion to the education of your children! In preparation for computer-based Milestones testing in April, third and fifth grade students are receiving extra instruction in typing. Each student has been given an account and assigned lessons at Typing.com. During their first lessons, all students received logins and passwords. Students will practice during weekly typing instruction but are also highly encouraged to practice in the classroom, computer lab, ASP and at home throughout February, March and Spring Break. Practice can only be completed on a laptop or desktop computer. Tablets and smart devices will not work. We want our third and fifth graders to feel successful and self-assured before the test begins. Please allow them to practice as part of their weekly homework. We don’t want typing to get in the way of a good test score. Thank you! We have some exciting events this week before our February holiday! *Thursday is Valentine’s Day. Please have your child bring in their Valentines to share and a decorated bag or box on Wednesday or Thursday. A class list went home last week. *STEM DAY is Friday! The students have worked very hard to complete their Minecraft project. The projects will be shown from 9:30 to 10:15. We hope to see you! Fact Fluency- work on multiplication facts 6-10. Thank you for your patience and understanding during my recent absence due to my father’s hospitalization and passing. The children were in Mrs. Mann’s very capable hands. We’re a strong team.